They’re everywhere. In our homes, workplaces, on our pets, on us. They used to terrify us but now we know some of them are vital to live. They’re microbes and they comprise communities called microbiomes. Microbes surround us every day. Those living in our gut breakdown unusable carbon sources and prevent disease causing microbes form taking up permanent residence inside us, pathogenic microbes can wreak havoc on a susceptible host under the right conditions, and some microbes, arguably most of them, don’t have any effect on us either way. Never has this idea been more accepted and better studied than the present. Next generation high-throughput sequencing allows millions of microbes to be rapidly sequenced without having to isolate or grow them. Microbiomes are being characterized left and right for every imaginable environment and everyone wants in on the action. But what does this have to do with food safety? How can it help? Everything. It has everything to do with food safety. It helps by providing us with a deeper knowledge of the microbes themselves and how they interact with each other and their environment. This understanding of the microbiome in specific environments allows us to to identify problems, promote solutions, and plan for the future. Processing plants could identify non-compliant products by through characterization of the microbiome. If the “normal” microbial community in yogurt has been identified it will be much easier to catch a non-compliant product by microbiome testing a sample from a lot. The product could be pulled for further testing and removed from the outgoing lots. A change in the microbiome could mean the product has been contaminated, a processing step did not work as expected, or be due to many other potential causes. By catching these non-compliant products with exquisitely sensitive sequencing technology, problems can be more easily identified and corrected. But products aren’t the only things microbiomes can be useful for. The microbiome throughout the plant could also be extremely useful in promoting food safety. “Normal” microbiomes of slicers, mixers, and processing lines can all be characterized and tested. The beginning of biofilm could be identified before products are affected and cleaning of equipment validated. Establishing what a “normal” microbiome, of either products or the plant, could help processors better identify problems when they occur, institute targeted solutions, and prevent future issues. But food safety extends beyond the processing plant and so does the usefulness of the microbiome. Many soil scientists already know the potential benefits of characterizing the phytobiome, which includes plants, their environment, and the organisms associated with both, but it’s not as commonly known in the food safety realm. Microbial communities play a large role in soil fertility and what bacteria are associated with the plant as it grows. One example is the association of Salmonella Bareilly with tomatoes. The composition of the soil bacteria can impact the fitness of Salmonella Bareilly to internalize and replicate on, or even within, tomatoes. West coast soil has a different microbiome than east coast soil and these differences allow Salmonella Bareilly to be internalized more easily in east coast tomatoes. Changing the microbial soil composition of east coast tomato fields through agricultural techniques or inoculations to resemble west coast tomato fields could result in lower Salmonella outbreaks in tomatoes and save lives. 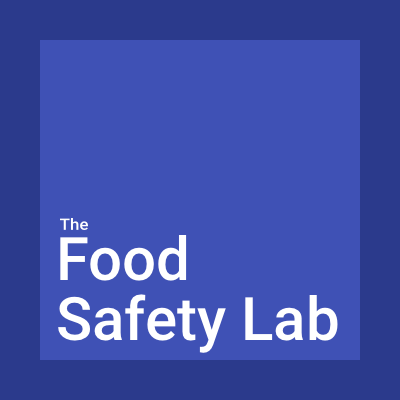 By utilizing microbiomes in both industry and government regulatory capacities, along with research performed in academic institutions, we can drastically change the face of food safety by utilizing the microbiome.